I was working on a custom and I’m not 100% on the look and feel of it, so, I thought I’d ask you guys. Clearly, it’s based on Bowman Platinum’s insert “Top Prospects”. Apparently, even after having one of the top farm systems in all of baseball, Bowman/Topps felt compelled to not put a single player from the Red Sox organization on their checklist. I’m having a hard time understaning that. Even the OFFICIAL top prospects list, strait from the MLB, has several players in the organization in the top 100. 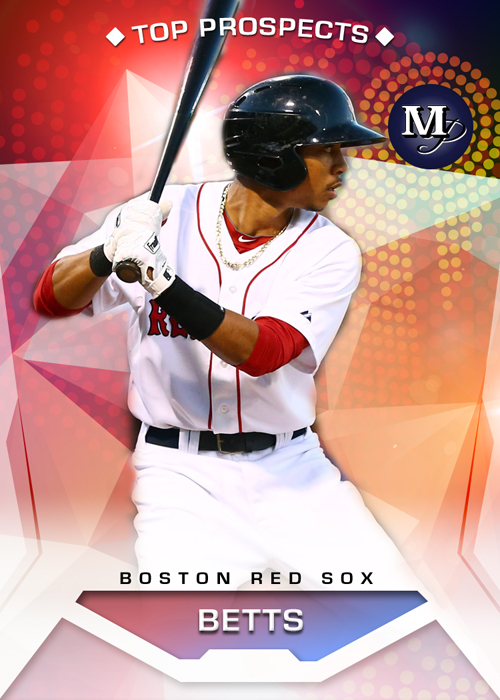 Mookie Betts, Henry Owens, Blake Swihart, all missing from Bowman Platinum’s checklist.